Here is Savings.com.au’s list of some of the most popular apps for saving money on groceries. Supermarket shopping can be stressful enough at the best of times – there’s other shoppers to fight off, not to mention resisting the lures of the junk food aisle. Arming yourself with a shopping list is one way to stop yourself from making unnecessary splurges – but lets be honest. How many of us actually bother writing all that stuff down? That’s where the beauty of apps come in. With so many of us pressed for time these days, there are plenty of great grocery budget apps on the market aimed at simplifying your weekly shop – and save you money along the way. We’ve rounded up some of the best apps on the market that could help you save big bucks at the checkout. Trolley Saver is a free shopping list app that automatically compares specials across the major supermarket chains including Coles, Aldi, AND Woolworths. All you have to do is enter items into your shopping list and up pops all the specials for that item. From there it’s simply a matter of picking which specials you want to buy. Once you’re ready to hit the shops, there’s a handy button that will tell you how much you stand to save on your grocery shop by going to multiple supermarkets. The app will even create separate lists for your different supermarket shops, so you don’t have to worry about sorting through them for each shop you visit. The app claims to have saved families of three on average of $72 a week just by using the app. Half Price is essentially an online catalogue and as its name suggests, tracks down everything that’s 50% off at Coles and Woolworths. Liquorland and BWS specials are included too, and the specials get updated every Wednesday morning. While it’s not the prettiest app, it has over 100,000 downloads and an average 4.5 star rating across 2,136 reviews, so they must be doing something right. Shop Jam claims to be the only app that offers both in-store pricing and aisle locations. To hunt down the best deals, all you have to do is create your shopping list and the app will do all the hard work for you. Currently, only Woolworths and Coles are on board, but there are plans to add other supermarket chains in the future. As well as helping you save money, the app can even help you stay on track of your #fitspo goals by grading food products you add to your shopping list as either ‘Excellent’, ‘Good’, ‘Limit’ or ‘Avoid’. The free app compares the latest prices from more than 45,000 products at Coles and Woolworths to track down the best deals available. 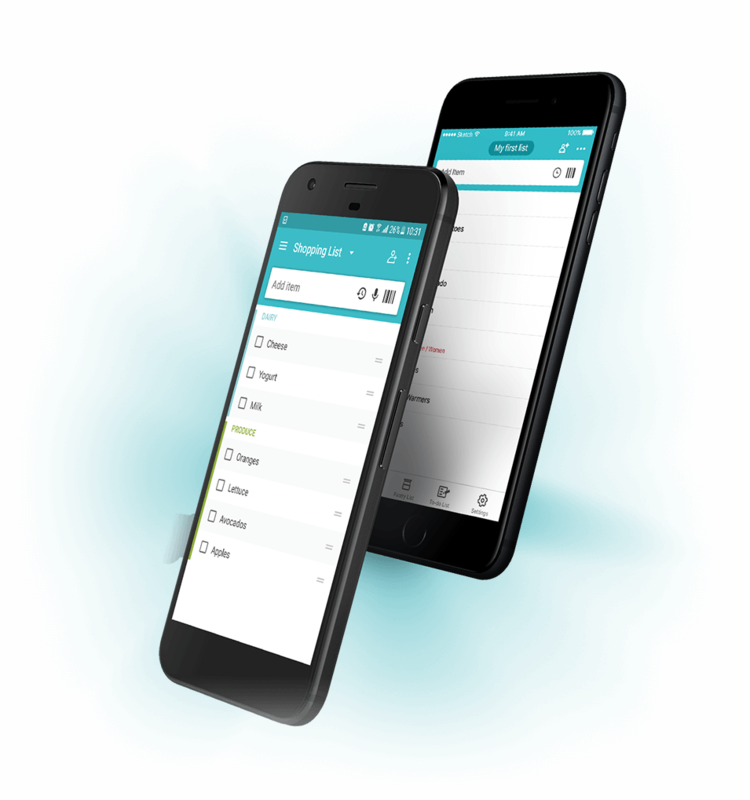 Rather than splitting your shopping list by supermarket like some of the other apps, Grocery Getter creates one list for you to work through and tells you the total amount you’ve saved. Overall, it’s a simple app to use and is ideal for when you want to stock up on something when it’s cheap. Unlike the other apps, Grocery Getter offers next-day delivery – but it’s currently limited to Sydneysiders. It doesn’t matter which supermarket you visit, because Grocereaze has a number of features to help you with your weekly shop. You can create multiple shopping lists and the app will track the price of every item in your cart and give you the running total, so there won’t be any nasty surprises once you hit the checkout. If you’re guilty of doubling up on things you already have in your pantry (hands up me!) the recipe and pantry function tracks what you already have. 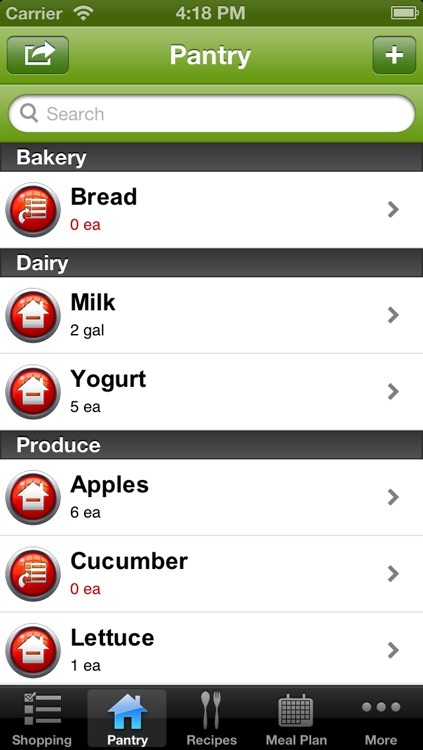 Available on both iOS and Android, GroceryiQ lets you customise your grocery list to whatever supermarket you visit. There’s a built-in barcode scanner and a coupon section to help you save your hard earned cashola at the checkout. Whether you’re fresh out of home and you’re navigating the supermarket solo for the first time or you’re an old pro, Out of Milk makes supermarket shopping easy. Share grocery lists across multiple devices and add items to your list from your recent search history – perfect if you want to retry a recipe. If you’re on a budget or like shopping in bulk, Out of Milk lets you add the quantity and price of items. Even though most of the apps above can be used anywhere, sometimes it’s better to have an app that’s specific to your favourite store. Below are the three top apps being offered by the big supermarket chains. If Coles is your ride or die supermarket, downloading their app is a kind of a no-brainer if your goal is to save money. 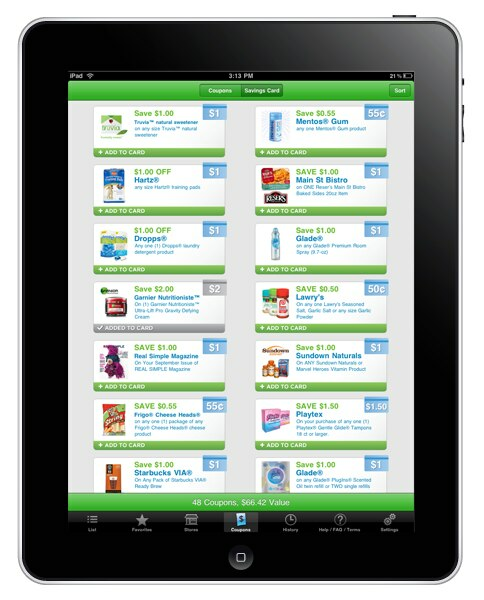 Available for both iOS and Android devices, the app lets you save time and money when it comes to supermarket shopping. Whether you’re in a last minute rush or doing your weekly shopping trip, the Woolworths app can help you find exactly what you’re after. Products in the app are listed with their aisle number, so you’ll never have to run around the entire supermarket looking for that one thing ever again. Users are also alerted to the weekly specials. With a reputation for special deals, the Aldi app lets you keep track of all the upcoming specials from staples like bread and butter to vacuum cleaners and TV’s. Available on both iOS and Android, the Aldi app is a handy tool to keep in your back pocket – quite literally.